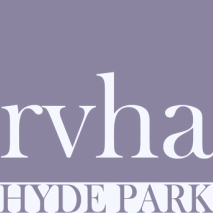 RVHA members receive a 15% discount on all products offered in our shops, access to our personal shopping service (ideal for corporate gifts), and invitations to attend all Association sponsored events, including our annual dinner. Membership can now be purchased in our online store for your convenience. Simply click on the "Store" header at the top of the page. Advance notice of RVHA events and advance ticket sales. *RVHA gift shops are located at Vanderbilt Mansion and Val-Kill Cottage. Discount cannot be applied to The New Deal Store in the Wallace Center at the Home & Library of FDR, or any other National Park. **Private tours can be used by RVHA Society Member, or can be gifted to family or friends. All tours must be arranged in advanced through RVHA Society Member and the RVHA Membership Chair. Sites include: Vanderbilt Mansion NHS, ValKill Cottage NHS, and/or Home of Franklin Delano Roosevelt NHS.